Even though this was my first appt I felt like I had been a patient for years. Everyone was very professional and explained all the tests and all associated costs. They even offered to send my new contacts directly to me house at no cost. I’m a patient for life! Optical Effects Vision Center was established in 2003, serving patients in Southwest Las Vegas and Henderson including the areas of Enterprise and Seven Hills, NV. Our practice is committed to providing the highest quality optometric services for individual vision solutions. The goal of our vision team is to remain on the forefront of eye care through continuing education, the latest state-of-the-art instrumentation, procedures, technology, and contact lens and eyewear products. We strive to meet your expectations in service and value to ensure long-term relationships with our patients. Appointments are available on some Saturdays. Call for further information. Have a pink eye or red eye? Swollen or puffy eyelids? A painful pimple or stye on your eyelid? 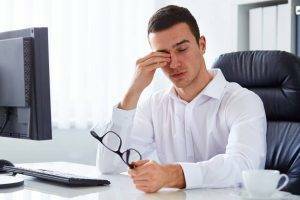 Experiencing eye pain & can’t locate the reason? Contact lens-related injury? Corneal abrasion? Sudden onset of flashing & eye floaters? Call our practice to handle your eye emergency.